I’m sure I’m not the only one surprised by the announcement that half of the 2015 Nobel Prize in Physiology or Medicine has gone to a researcher who spent her entire career researching traditional Chinese medicine. 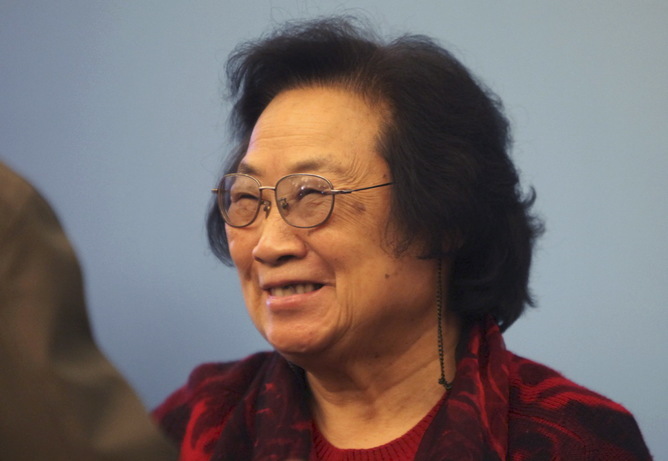 Based at the Chinese Academy of Traditional Chinese Medicine in Beijing (now the China Academy of Chinese Medical Sciences) since 1965, scientist Youyou Tu, her colleagues, and home institution may well be just as stunned today as I am. Being granted the Lasker Award is often a good predictor of Nobel Prize prospects. Tu received one in 2011 for her discovery of Artemisinin as an alternative malaria cure to the standard chloroquine, which was quickly losing ground in the 1960s due to increasingly drug-resistant parasites. Scientific research on the pharmaceutically active properties of traditional Chinese medicinals, however, has never been a predictor for such widespread international recognition. Traditional medical knowledge anywhere in the world has not even been on the radar for Nobel Prize prospects. Until now, that is. 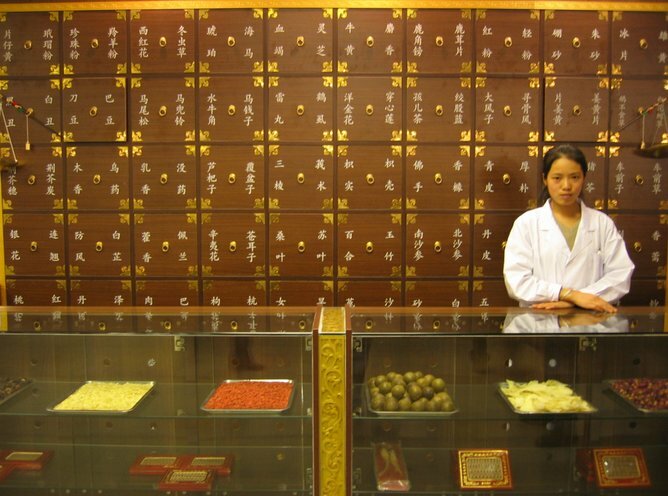 So how should we interpret this arguably seismic shift in international attention on traditional Chinese medicine? Watch the announcement of the winners and the following Q&A. The antifebrile effect of the Chinese herb Artemisia annua (qinghaosu 青蒿素), or sweet wormwood, was known 1,700 years ago, he noted. Tu was the first to extract the biologically active component of the herb – called Artemisinin – and clarify how it worked. The result was a paradigm shift in the medical field that allowed for Artemisinin to be both clinically studied and produced on a large scale. His Emergency Formulas To Keep at Hand (Zhouhou beijifang 肘後備急方) can best be understood as a practical handbook of drug formulas for emergencies. It was a book light enough to keep “behind the elbow” (zhouhou), namely, in one’s sleeve, where Chinese men sometimes carried their belongings. We can discern from Ge’s astute description of his patients’ symptoms that people then suffered not only from malaria but also from other deadly diseases including smallpox, typhoid and dysentery. You might remember that in 2004, the FDA actually banned ephedra-containing dietary and performance-enhancing supplements. They’d been the cause not only of serious side effects but also several deaths. The ban remains in effect in the US despite a court challenge from ephedra manufacturers. Related drug ephedrine, however, is used to treat low blood pressure and is a common ingredient in over-the-counter asthma medicines. Compounds long known by practitioners of traditional Chinese medicine to be effective are being isolated now in modern labs. As for Realgar, its toxicity was well-known in both ancient Greece and Chinese antiquity. In Chinese medical thought, though, skillfully administered toxins may also be powerful antidotes for other toxins. Realgar thus continues to be used in Chinese medicine as a drug that relieves toxicity and kills parasites. Applied topically, it treats scabies, ringworm and rashes on the skin’s surface; taken internally, it expels intestinal parasites, particularly roundworms. Although biomedicine does not currently use Realgar or its related mineral arsenicals in treatments, Chinese researchers have been studying their anticancer properties for some time now. In 2011, a Chinese researcher at Johns Hopkins University, Jun Liu (with other colleagues), also discovered that the Chinese medicinal plant Tripterygium wilfordii Hook F (lei gong teng 雷公藤 “Thunder God Vine”) is effective against cancer, arthritis and skin graft rejection. It was validation of this traditional drug as an antimalarial in the 1940s, in fact, that set the foundation for Chinese leader Mao Tse Tung’s directive two decades later in the late 1960s to find a cure for malaria. Indeed, Tu’s research is best understood within the complex politics and history of top-down support from the Chinese government of Chinese medicine in mainland China during the long durée of the 20th century, and not just in the Maoist period. So is this Nobel Prize for Tu’s discovery a signal that Western science has changed how it perceives alternative systems of medicine? Perhaps, but only slightly. One of the Karolinska Institute panelists acknowledged that there are many sources from which scientists draw inspiration to develop drugs. Among them, we should not ignore the long history of experiences from the past. As he clarified, such sources may be inspirational, but the old herbs found there cannot be used just as they are. Don’t underestimate the sophisticated methods Tu used to extract the active Artemisinin compound from Artemesia annua, another one of the panelists concluded. But there’s something else that marks Tu as extraordinary vis-à-vis both her two fellow Nobel Laureates for medicine, William C Campbell and Satoshi Ōmura, and her more Western medically oriented colleagues in pharmacology. She embodies, in both her history and her research, what I call medical bilingualism – the ability not only to read in two different medical languages but to understand their different histories, conceptual differences, and, most importantly for this unexpected news, potential value for therapeutic interventions in the present.